Merchant bar, structural and solid materials are accurately cut to size and angle in our band saws. The CNC controlled horizontal saw features multiple program selection and integrated clamping for stack cutting of materials. Mitre cutting up to 45 degrees right x 45 degrees left is also efficiently carried out in the vertical saw. The 3000mm x 12mm plate guillotine comes equipped with a self elevating, numerically controlled and powered back gauge. The in feed table made up of ball transfers makes for efficient and accurate plate cutting. 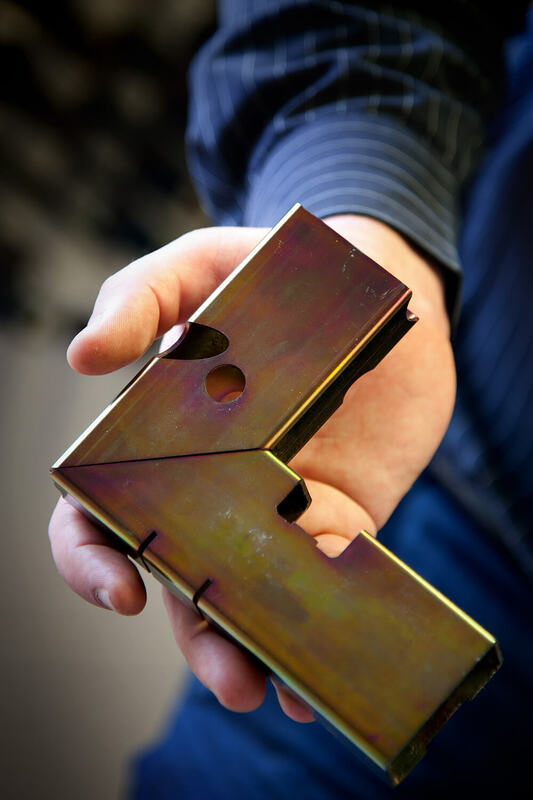 Our experienced operators produce quality flame cutting components for plate up to 150mm. This high speed, self propelled plate edge beveling machine with an adjustable beveling head produces beveled angles of 22.5 degrees through to 55 degrees. It produces clean machined bevels with no thermal distortion on mild steel, stainless steel and aluminium plate up to 38mm in thickness. This service is currently outsourced. Please contact the office with your specifications and Dix can arrange a quote for you from one of our reputable suppliers.